Do you love singing? Then join us to create a scratch Gospel Choir ! 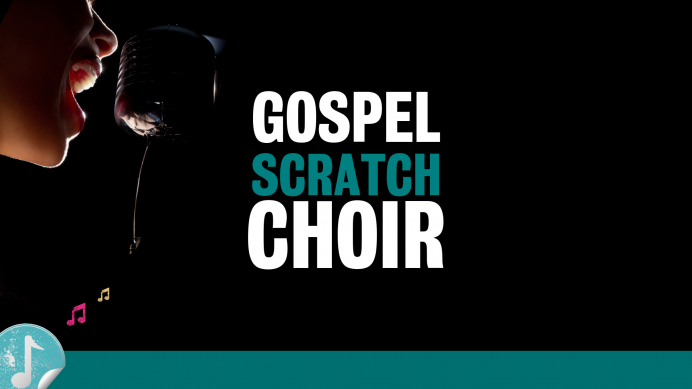 A truly unique musical event packed full of ‘feel God factor!’ No experience necessary, learn 4/5 songs (the Greatest Showman included) from scratch for a ‘one off’ performance at Holy Apostles at 5pm open to everyone, no need to book. Invite your friends and family to the concert. Bring a packed lunch to the event and enjoy the art exhibition at the Holy Apostles Community Cafe and Hall. Workshop Day £10.50 (bursary available for low income).